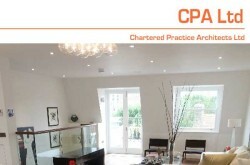 Chartered Architects UK – a London based architectural company. Projects includes Residential, Community and Commercial. Chartered Practice Architects offer a full range of architectural services for Residential, Commercial, Community & Education Projects from initial consultations through to completion of the project on site. Architects Registration Board (ARB), Royal Institute of British Architects (RIBA). 159 Askew Road, London W12 9AU, England.